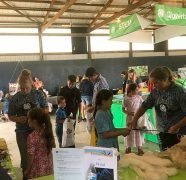 Schuylkill County Fair – Page 2 of 43 – Where Fairs Feature Agriculture. Featured acts this year are New Individuals, Sapphire, Ridgeline, Mudflaps Reunion, Aaron Kelly and Jay and the Amish Outlaws. From kids games to the loud roar of engines competing in the truck pulls. The Schuylkill Fair has something for everyone. All sorts of delicious food to satisfy your taste buds. Our midway offers everything from funnel cakes, barbecue and gyros. 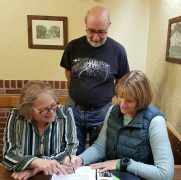 Members are making plans now for the entertainment line up and sponsorships for the 2019 Schuylkill County Fair being held July 29 through August 3. The 35th SCF is now history with a year of “Cheers to 35 Years of Farms, Families, Fair and Fun. 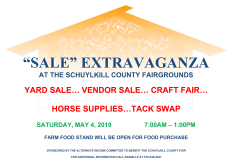 Hard to believe that it has been 35 years since a fledgling group of people came together with the desire to reignite the Schuylkill County Fair. Back then, 35 ago the Schuylkill County Fair became known as the “New” Schuylkill County Fair. Now 35 years later it is just referred to as the “The Fair.” It has taken on entity onto its own.